Tubby helps you take care of your home improvement and repairs with easy to use DIY solutions. 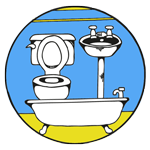 We are UK’s leading company offering a wide range of bathroom resurfacing and bath repair kits. With 30 years of experience, we have established our brand as one trusted by homeowners and hotels all across the UK. Here are a few key factors that have helped us keep a competitive edge for three decades. Exclusive Solutions – Unlike generic solutions available in the market, our kits are created for a specific purpose and surface. Our formulas have improved consistently over the years. Economical Option – Our resurfacing products and bath repair kits are cost-effective alternatives for costly repairs and renovations. You can save up to 80 percent. Quick and Convenient – Tubby will save you a lot of time and trouble that would be otherwise involved when working with a renovation team. Order online and we will courier directly to you with our next day delivery. 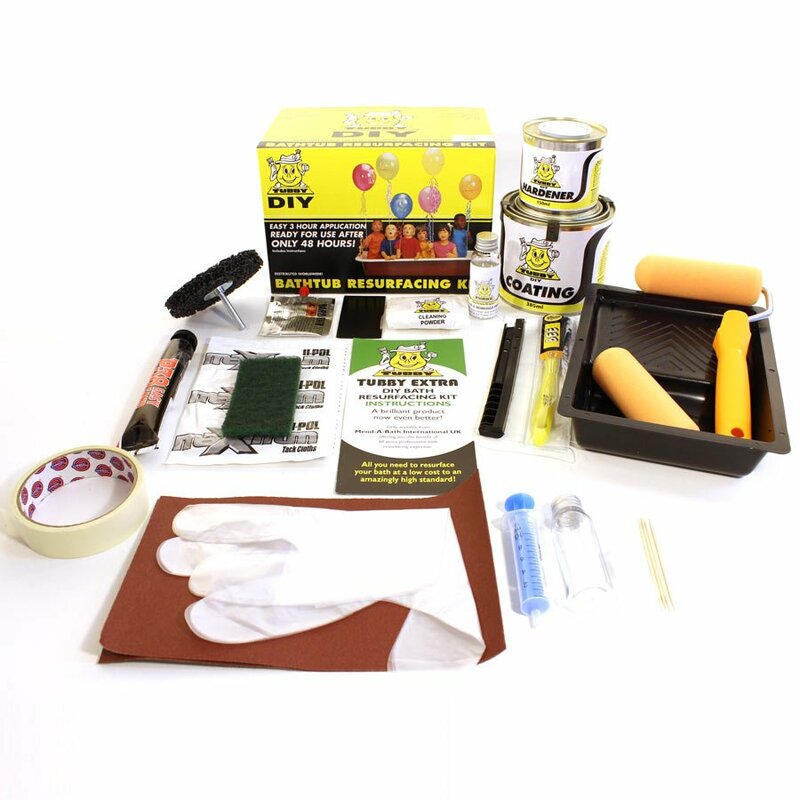 Remove the signs of ageing including chipping and cracks through a DIY bath repair kit that includes all the items along with instructions you need to resurface a standard bath. Our bathroom resurfacing kit saves you the expense of bath replacement. It restores the beauty of your bath at a fraction of the cost. Replacing shower trays is an expensive option followed by a tricky procedure. That is where our repair kit comes in to save the day. 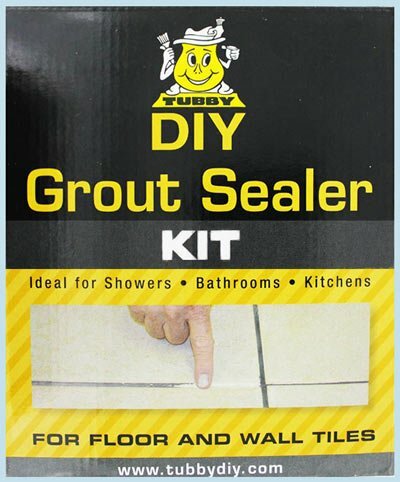 Our DIY shower tray repair kit helps you get rid of all the signs of ageing and damage without the need for re-tiling or replacement. No mess, no fuss! Due to water exposure, a bath’s surface is prone to chipping that takes away its beauty. You can now conceal the unsightly chips yourself with our exclusive DIY chip repair solution. The kit comes complete with instruction manual and high-quality products to preserve the new look for five years guaranteed. Latest from the Tubby Blog. Hello Grant. I found the whole package easy to follow and to use. I was very pleased with the finish. Although it did take me nearly 5 hours (the bath needed a lot of preparation) The end result was well worth it. 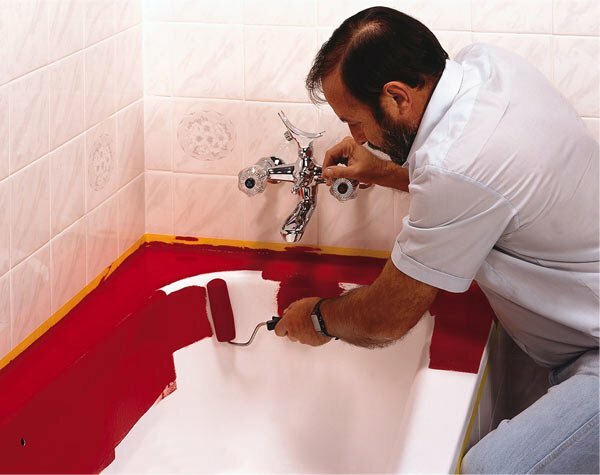 My Husband used this product to re-enamel a bath for a customer. They were very pleased with the result and so was my Husband. He has asked me to say that the preparation is important and does take time but worth it, the only problem he had was that he was painting a white bath with white paint and really had to concentrate on were he had painted so not to over paint. He said everything was there you needed in the box, he would recommend this product. I did e-mail to ask a question and was e-mailed back very quickly with the answer. 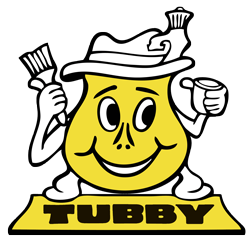 Nice to know that Tubby don’t just sell the product and leave you to it. Their friendly staff help you whether you e-mail or phone them.